Social Studies is an exciting part of the educational journey! There is so much to learn and experience! This year in Geography we will explore the world, the places and faces that make up our planet and societies. We will discover new cultures, examine landscapes and, learn about how people live with and work with their geography. In History, we will travel back through time, seeing events trhough both a historical and a modern perspective as we study how things came to be and those effects on society today. Perhaps we will also look into the future and imagine what is yet to come. . . In the spring, our classroom citizens will become involved with the United States Constitution and Bill of Rights. We will examine and decipher the meanings of our historical documents and see how those documents affect our daily lives. We will also work on creating our own ideas of legislation by crafting laws and holding a student vote. Hello! 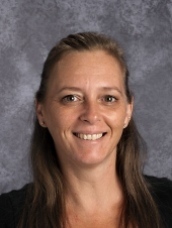 My name is Diana McBeth and this is my second year teaching Georgraphy, World History, and Civics at North Star High School. I was a substitute teacher for many years in Lincoln Public Schools, with much of that time spent as a ling term substitute here at LNS (GO GATORS!). I am orginally from Germany and have lived in sunny and snowy Colorado, the hot and arid desert of Arizona and the beautifully green Mid-West. I have lived in Lincoln for ten years and love my adopted hometown.